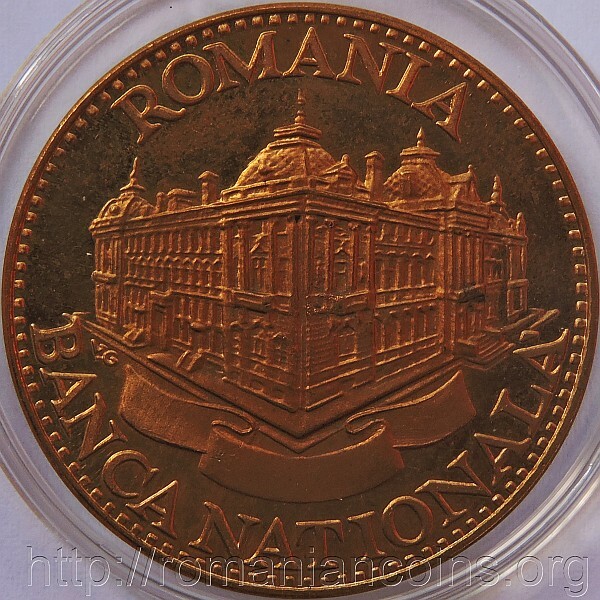 denomination "1 LEU", ROMANIA, wheat ears an image of the palace of the National Bank of Romania in Bucharest, a ribbon below, inscriptions "ROMANIA" and "BANCA NATIONALA" meaning "NATIONAL BANK". Near the edge (at left) lies V.G. standing for Vasile Gabor, the engraver's name. This pattern seems to be linked to the pattern presented on the previous page, having similar faces with the value and the same diameter. 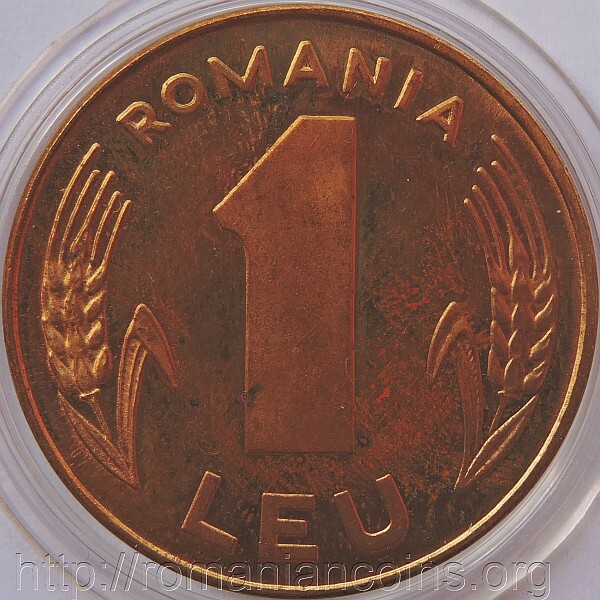 This face was also used for the 1 leu coins from 1993-1996, but at a smaller scale. 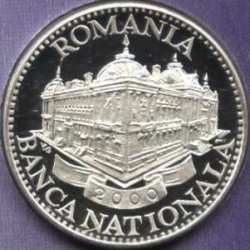 The other face is represented, at a smaller scale, on the medal dedicated to the 120th anniversary of the National Bank of Romania - silver 80%, 12 g, 28 mm - from the circulation coin set of year 2000. Of course, on the medal the ribbon was inscribed with year 2000.